While all eyes have been on the dual resurgence of Rafael Nadal and Roger Federer this season, there’s someone else on the ATP World Tour who’s been putting together one of the best years of his career, and this week he’s reached a new career-high: Croatia’s Marin Cilic is the new World No.4. It’s not like he came out of nowhere, obviously. He broke the Top 10 for the first time seven and a half years ago after reaching his first Grand Slam semifinal at the 2010 Australian Open, and he’s one of the few players outside the Big Four with a Grand Slam title to his name, winning the 2014 US Open. He also reached the quarterfinals of the French Open for the first time, which completed his Grand Slam quarterfinal set - which means he’s been to the final eight of all four Grand Slam events now. 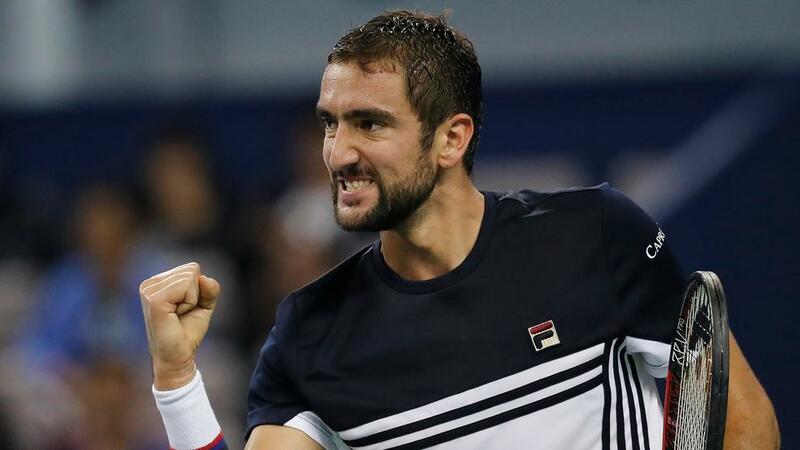 And this week, following that run to the final four in Shanghai, Cilic is at a new career-high of No.4, with No.3 most definitely in his sights - he trails the current No.3, Andy Murray, by 785 points, and though Cilic has 1060 points to defend the rest of the year, Murray has 3000 points to defend. Cilic is scheduled to play in Basel next week and the Masters 1000 in Paris the week after, and is on the verge of qualifying for the Nitto ATP Finals. Watch this space to see if he makes it to London!